where are the rest of the photos mike? Long awaited but here is our Renntech tuned S550. More coming soon! Hey P, thanks for the love. Yes I have and honestly the car is so good with such an amazing suspension (this is a non MBC car) you don't really notice a big difference in ride degradation, if anything the car feels more planted to the ground able to apply that V-8 power more effectively. Over maybe speed bumps and irregular roads you will notice more of a difference. Last edited by [email protected]; 12-17-2013 at 01:27 PM. For this video we wanted to convey a sense of luxury to go with the new S-class so we got with our friends at the MPH Club﻿ who granted access to this smaller airport about 30 minutes north of Miami. It also meant buying a bottle of Dom P and we also posted some Padrón Cigars﻿ since Jav is an avid Cigar enthusiast and we are exclusive with them. Yes we drank the Dom P and it was great, I think an 03…We wanted to really showcase the car thus a lot of focus on the interior and we had to move into a parking deck at the end so you could see the different ambient lighting. Note we changed the color for you to see the different options. Last edited by [email protected]; 02-28-2014 at 04:50 PM. Did yall replace the stock runflats? And if so, did it change the ride? Hi Mike, what did you use to lower the car? Can anyone give me an idea how the new S 550 rides with 22" wheels? I love vossens and want to try 22"!! 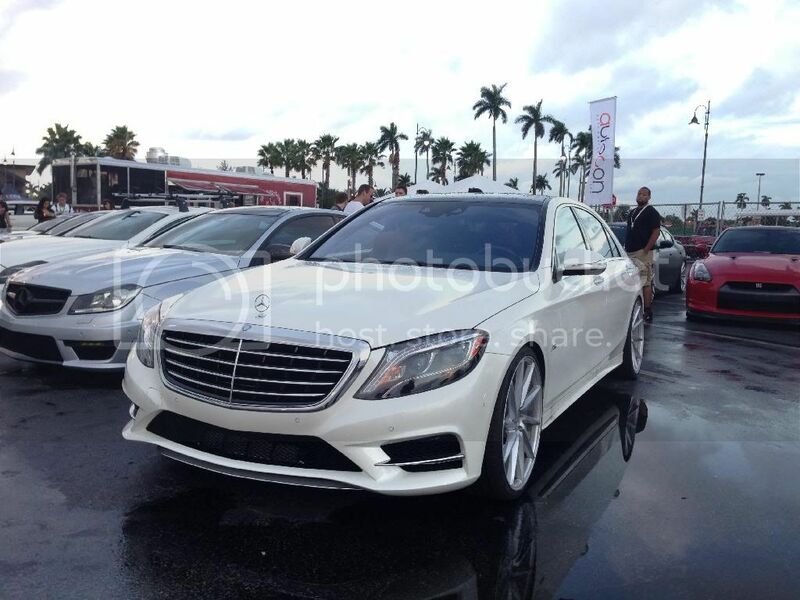 [email protected] can you tell me what the offset and tire size front and rear is on your project 2014 S550? I would like to set mine up the same. Also any work on a lowering module release date? Thanks! Hi everyone sorry for the late response. In regards to lowering please contact [email protected] "Cars By Frankie P" and if you are in the Miami area he can help. Runflats are gone. I hate run flats personally, its like driving on ice. We now use Pirelli P-Zero tires. Honestly it rides better to me, not nearly as floaty, cushy and isolated. You get some more road noise and you feel more feedback but I think it is a good thing. You don't lose the luxury ride at all. 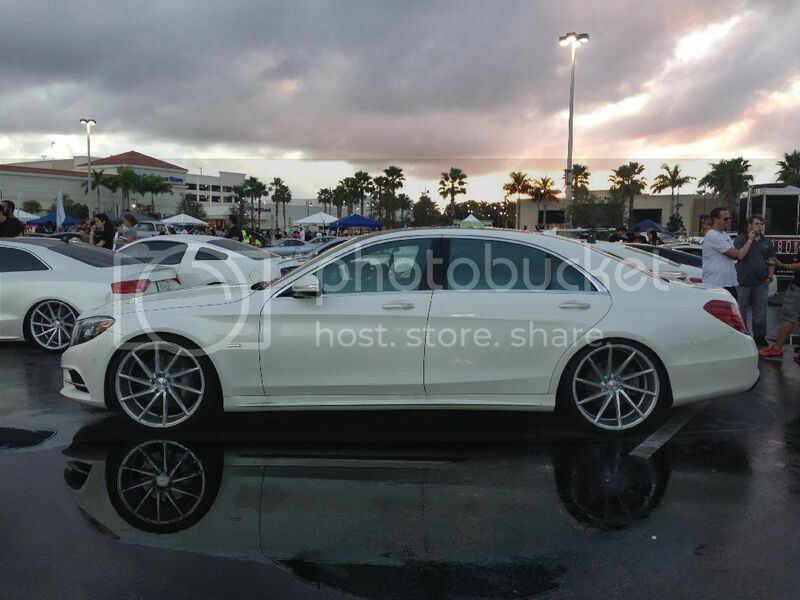 We just updated the S550 to our new 22x9 and 22x10.5 Silver Polish VFS-2 wheels. These feature our new flow forming technology for a lighter and stronger wheel without sacrificing our design integrity. Personally I think these wheels are made for Mercedes and they are hub-centric. Those CVT's looked so good, I had to get them. Thanks for the video, otherwise I wouldn't have been persuaded to add CVT's! Now I wish I got 22" but didn't really want to pay extra on insurance and everyone was telling me it would have an effect on the ride quality. I'm getting the new Vossen Precisions Series from EVS Motors! Been drooling over the VFS-1's for my S550 on order. Got any pic's of some on an S Class? Glad to hear. The 22s ride really good. No pics on the new W222 yet so you could be first. We used the car during Art Basel as a feature vehicle. Photos and video to come!